Beautiful mountain views, quiet family oriented neighborhood, clean & spacious; this home has it all. Your search ends here. This 1535sqft/3bed/2bath single level home sits on a fully fenced, almost 6000sqft level lot close to all sorts of amenities: schools, transit, parks, excellent commuting access & more. Features: separate living & dinning rooms, spacious kitchen w/eating area, adjacent family room & access to patio & rear yard; perfect for entertaining. The large master has 3pc ensuite & walk-in. 2 well sized rooms, 3 pc main bath & mud room w/laundry complete this home. Bonus: large over-height garage, amazing 5' 1050sqft crawl space & full height workshop with a window! Act Now! 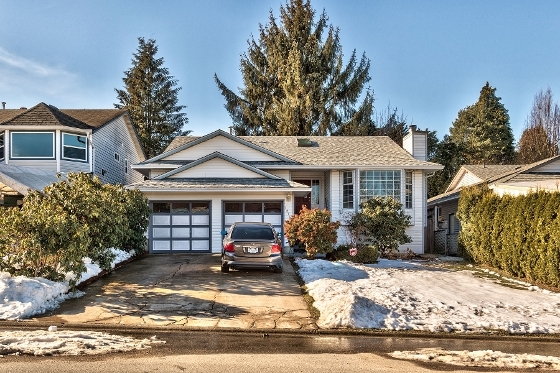 OPEN HOUSE Feb 18 from 1 to 3.